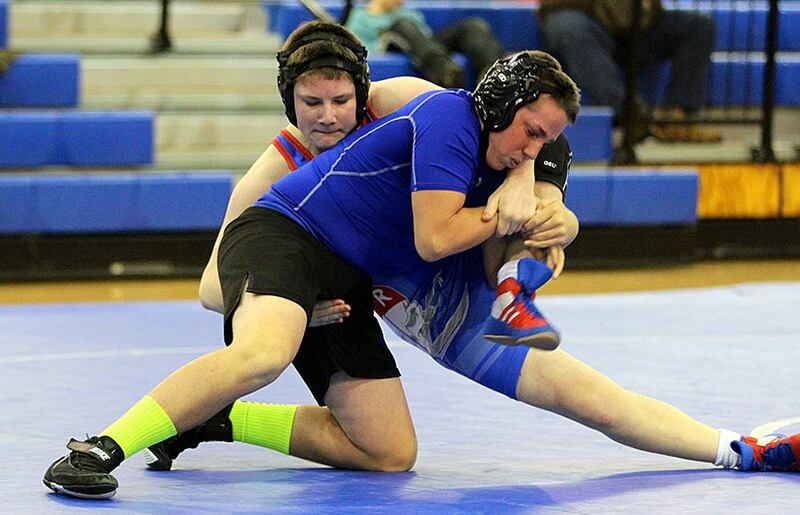 Polk County Middle School’s wrestling program concluded its regular season Thursday, hosting Rugby Middle. Though the Wolverines had just one team win this season, there were plenty of signs that the Polk program is on its way up in the Blue Ridge Athletic Conference. The number of wrestlers increased, the team nearly won a handful of other matches and a number of team members will qualify for Saturday’s BRAC individual tournament. Here’s a look at scenes from the season finale courtesy of Jane Ollis.